Looking for Feminist Comics? Why Not Try Webcomics? Traditional comics have spanned a lot of different publishers, styles, and subject matter; the possibilities are endless. But becoming a published comic artist or cartoonist is a long, hard slog, and there's always the issue of working for a company that might push back against your ideas if they aren't marketable enough. For these reasons, webcomics have become a growing medium ever since the online boom in the late 90s; as more people gained reliable internet access and publishing your own web pages became easier, more artists got in the game, and the audience gradually grew as well. With more artists, comes more diversity, and now, more than ever, we have a lot of quality material to choose from. You've probably already heard of the most successful, acclaimed and popular webcomics out there (like The Oatmeal, Achewood, or XKCD), but there are plenty of others that don't get the spotlight as often or appeal to a more narrow audience. So let's talk today about a subject that's near and dear to all our hearts: feminism. 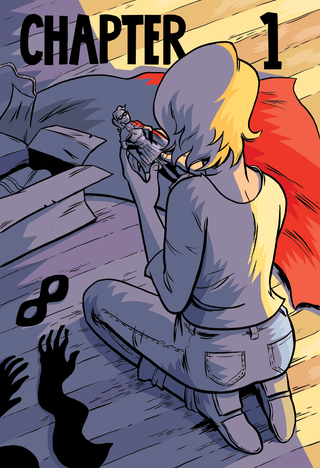 There are more feminist webcomics to choose from than you might think. Below, I'll give the lowdown on a few different ones on the web that might strike your fancy (note: the first hyperlink for each webcomic covered will take you to the first one in the archive). Gyno-Star has pretty decent, polished art. It's simplistic but expressive, and when Cohen adds color later, it really has a great look. There are only a few drawbacks to Gyno-Star. Besides the fact that it updates pretty sporadically, every now and then, I'll come across some dialogue or a plot point that I find a little problematic, in terms of content. For example, the Anna Rexia story arc made me pretty uncomfortable, because it kind of felt like they were body-shaming skinny women in some panels. On the whole, Gyno-Star is worth a look, and it seems to be getting better with age. With its unique art and a penchant for historical humor, Kate Beaton's Hark! A Vagrant already has a pretty loyal following. It's not hard to see why. It stands out from the majority of webcomics, most of which are slice-of-life or hobby-specific (like video game webcomics, of which there are many). Rather than featuring an ongoing story, Hark! A Vagrant's comics are one-shots, so it's easy to take a break and come back to it at any time. Most of the comics are humorous vignettes about historical figures, often those who are little-known. Beaton's notes at the bottom of each post usually tell the reader a bit about the person being featured and invite them to learn more about them. Beaton also does a good job featuring women and people of color who went unnoticed in history because of whitewashing and prejudice. Beaton also sometimes touches on politics and popular culture in her comics. One of her most famous comics, called "Strong Female Characters," is often passed around when women talk about the problems that plague superhero and action movies, because, as we all know, Hollywood often had no idea what a "strong female character" actually is. Take a moment and look at that comic; there is nothing more hilarious to me than that last gif at the bottom. "Sexism is over," indeed. When it comes to satirizing public perceptions of women, Beaton really knocks it out of the park. In another great example of Beaton's sharp and blithe wit, she shows just how absurd the idea of a feminist as a sneaky, sinister boogeyman really is, complete with cowering children (hyperlinked, because the vertical format of that comic is not post-friendly). Thankfully, the very rational parents are able to calm the kids down and assure them that these mythical femi-beasts are not actually real. The art in Hark! A Vagrant is somewhat inconsistent: at times, pretty rough around the edges and at others so stylized and detailed that others have come to emulate it. Of course, the comic started as just something Beaton did for fun, so I personally think a few aberrations can be overlooked. I would recommend Hark! A Vagrant to absolutely anyone. Not to be confused with "Strong Female Characters," Brennan Lee Mulligan's story (with art from Molly Ostertag) about a teenaged superhero girl who quits to pursue college and focus on social justice issues is a fantastic subversion of the conventional superhero story. The plot focuses on Alison, formerly Mega-Girl, who is having a hard time leaving her past behind ever since she revealed her secret identity and decided to abandon caped crusading. It would be a cliché to say she is trying to "lead a normal life": she knows she isn't normal, and so does everyone else. It'd be more accurate to say she's trying to lead a different life, after questioning what a true "hero" really is. Unfortunately, the world keeps finding ways to pull her back into the realm of superhumans and villains. The characterization and dialogue in Strong Female Protagonist feels very realistic and organic. Much like in real life, it's sometimes hard to tell who the good guys and bad guys are. The storyline is really compelling; from the very first panel, you are drawn into this world, wanting to know what will happen next. In particular, it's hard not to love Alison. She's overtly feminist, cares about issues like poverty and racism, and she's tough, but humble. She also deals with the same kinds of things we all have before, like feelings of inadequacy and loneliness. Don't get me wrong, there's definitely action in this story, but it's only one tasty piece of the whole, complex pie. Honestly, I can't say enough great things about Strong Female Protagonist. I was hooked almost immediately. The art is great, the concept is great, the story and characters are great—this webcomic deserves a whole lot more attention. This whimsical bit of medieval adventure is an award-winning webcomic by Noelle Stevenson. The titular Nimona is a young shapeshifter who shows up to announce herself as the new sidekick to the famous villain Balister Blackheart. Unfortunately, they tend to disagree on the best methods for being evildoers. Nimona is chaotic and reckless, delighting in gratuitous violence, which Balister attempts to curb her of: as he puts it "if you're going to kill someone[...]you'd better be prepared to accept responsibility." There is so much going on in Nimona that it's pretty hard to describe in just a few sentences. It has a childlike sense of humor with a delicate and distinctive art style. The world itself is a surprisingly convincing blend of medieval castles and scientific laboratories—a synthesis of archaic and modern sensibilities. The story also reflects this kind of duality. In one panel, the protagonists might be whiling the day away, playing a board game, and in the next, the clandestine Institution is plotting the murder of Nimona. The tone flits back and forth seamlessly between dark and light, as the reader is treated to sometimes grim scenes of action, book-ended by lighthearted banter. Nimona herself is pretty cool. Her character design is fairly non-traditional, which I appreciate. She has something of a tragic backstory, but she doesn't want to be treated like a victim. She is ambitious and energetic, but she's still a rookie and makes lots of mistakes. There's a lot about her that makes you want to watch her grow. The whole comic is pretty darn captivating. There's not much about it that's not to like. In fact, of what I've read so far, I haven't found anything to complain about (which says a lot, if you know me). If you're looking for something enchanting and quirky with a lot of unexpected depth, look no further. Honorable mention goes to the slice-of-life webcomic Questionable Content, which while not necessarily being feminist (and the main character being a dude), does write female characters really well. The art starts out pretty amateurish but evolves a whole hell of a lot over the course of twelve years. The creator, Jeph Jacques, also introduced a transgender female character named Claire a couple of years ago, and the whole subject has been treated in a very respectful way. If you want a good resource for finding more feminist comics, you can check out this tumblr. Have fun reading, fellow feminists! Please also feel free to share your favorite webcomics (feminist or otherwise) in the comments!